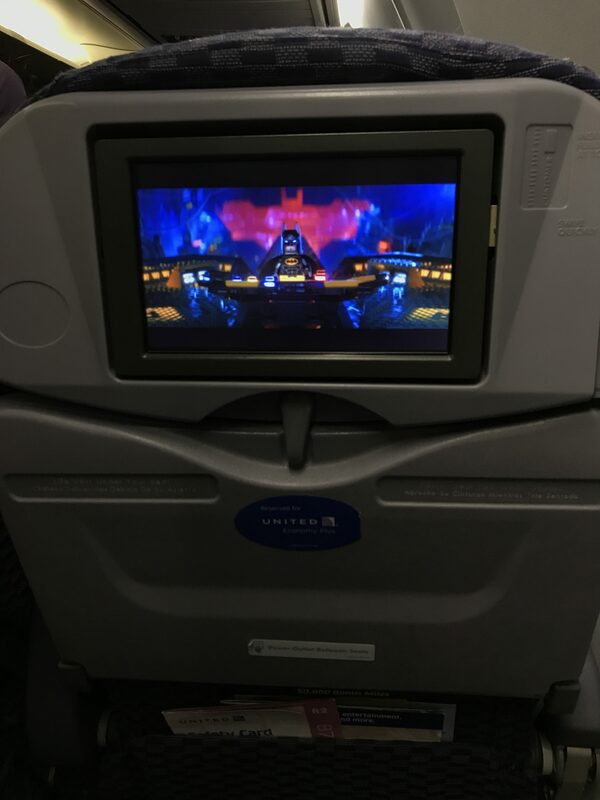 Let me start off by saying United is upping their game for sure. 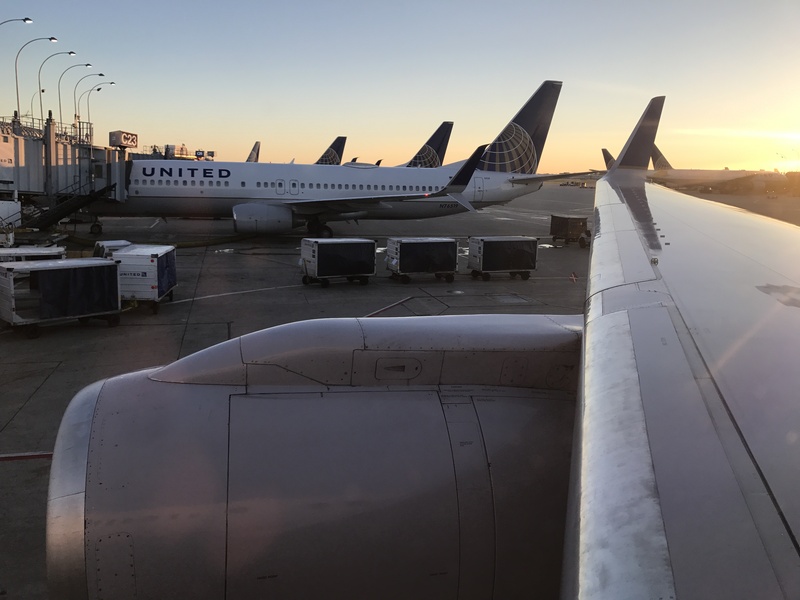 I mean I am a United loyalist but I still give them a tough time in the reviews where they deserve it, but this flight was much much different. But anyways we boarded through door L2 since that was the only door being used. 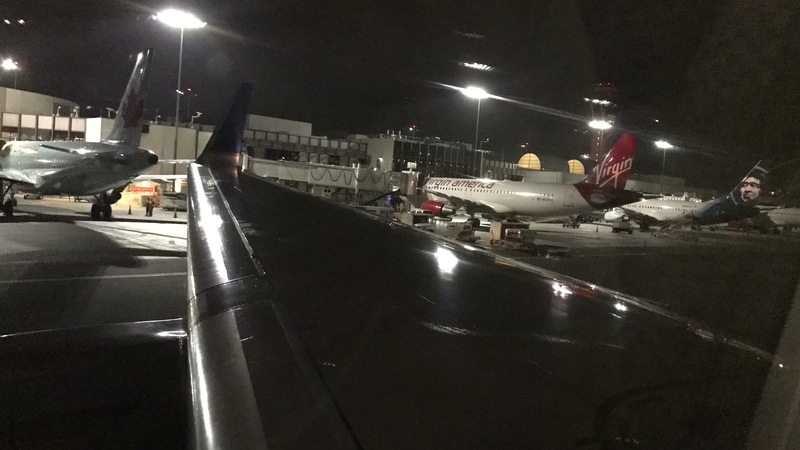 But this time I wanted to review UA’s 757-300’s economy product since I have already reviewed its first class product. I was not disappointed. Let’s talk about the seat first. While it’s not the most modern seat out there, it certainly was very comfortable. 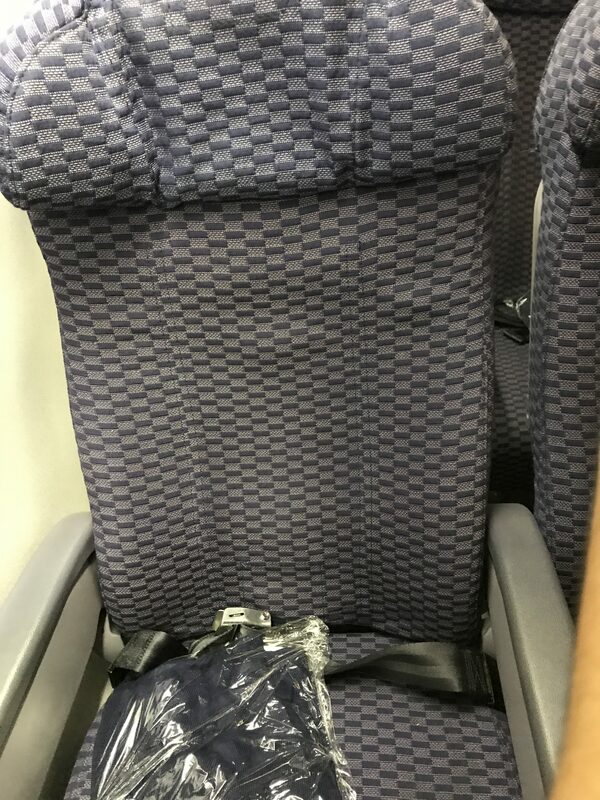 And I will say it is much better than the new economy class seat that United has put in its 777-300ER. 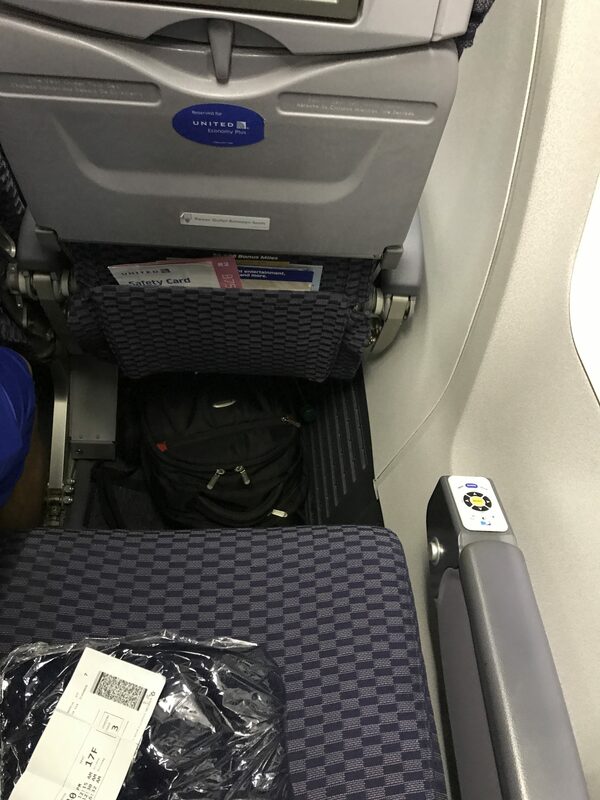 The seat cushion itself had decent padding and as I said, it was better than the new seats. The back pad was a little harder, but the seat’s backrest was basically curved in a way such that your back would fit comfortably into the seat and the seat felt good from that. 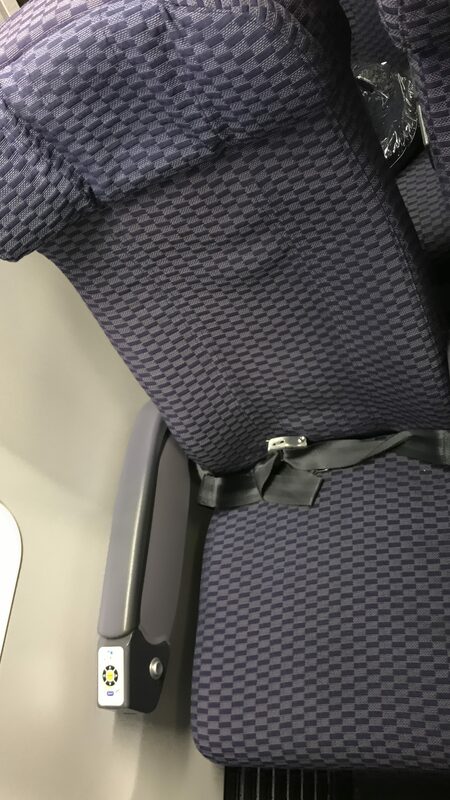 But I will tell you that United did not design that, but rather that’s just how the seat has become after years of wear. 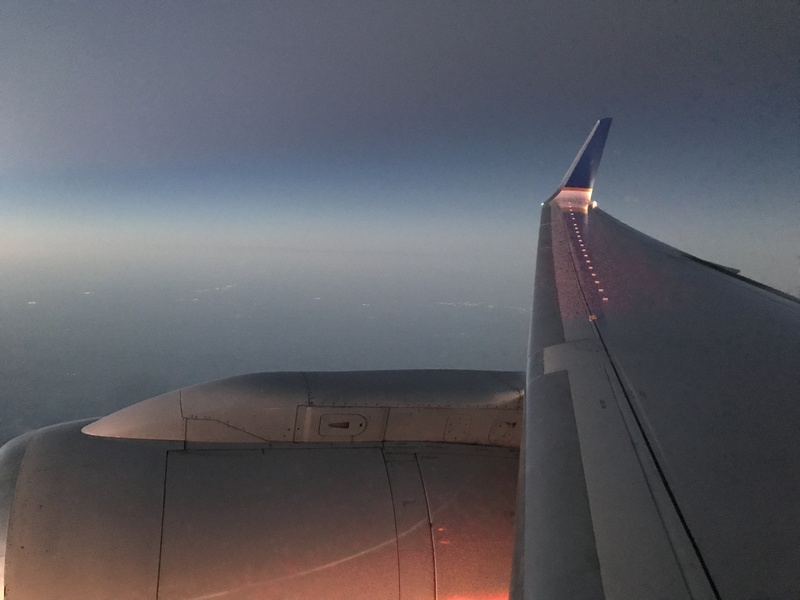 Regarding the headrest, it was a little hard, but still perfectly comfortable for this 3.5-hour flight. Each seat had an air nozzle which I really appreciate given that many airlines don’t take the effort and thought to do that for the passengers’ comfort. In terms of spacing, there was plenty of legroom, though I’ll have more on my suspicions on that later, however, the one downside to this seat is that it was very narrow. 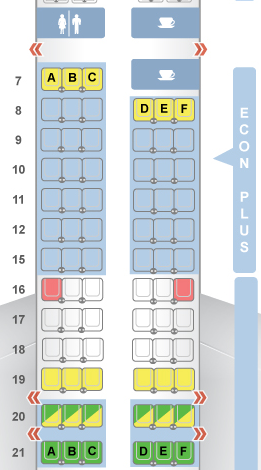 One last note, if you check out SeatGuru for this aircraft, it labels row 16 as having no windows on both sides. That’s 60% not true. 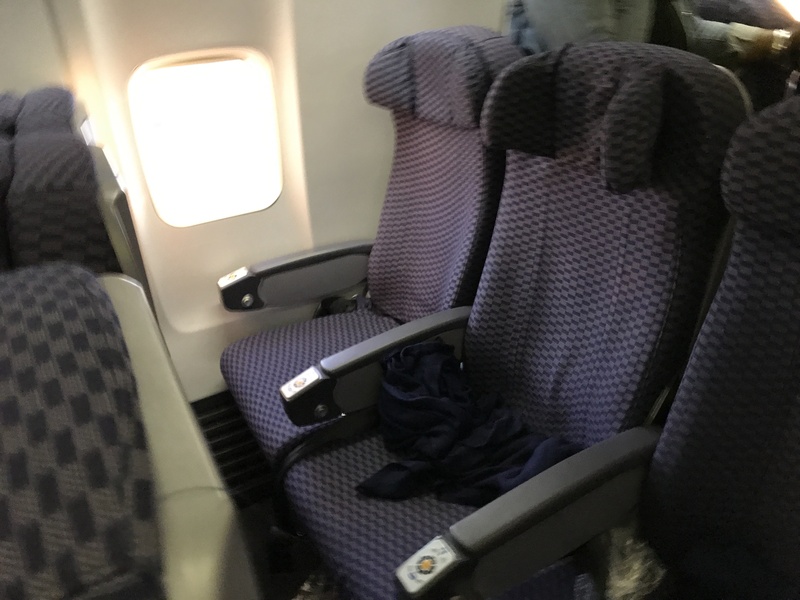 Every seat has a window just to the right of your face. But for row 16, the window is just misaligned and it is a little forward of where it should be. 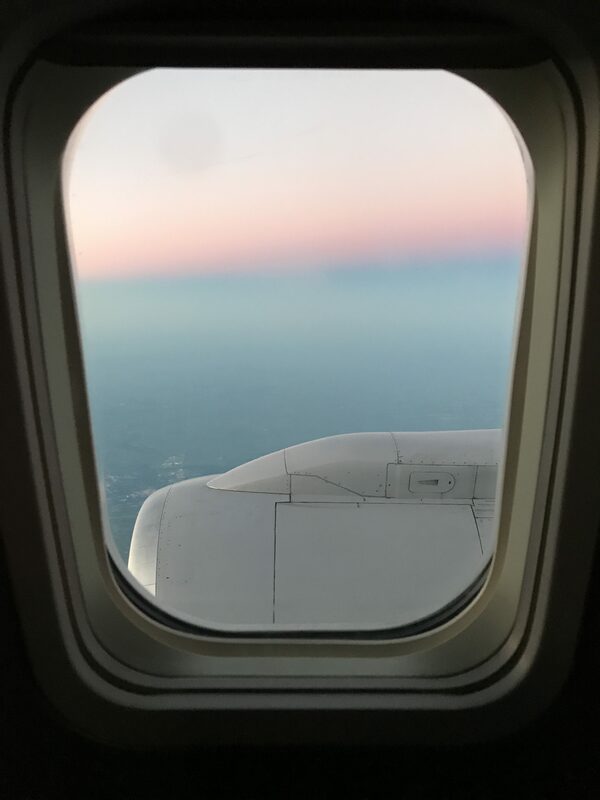 So you would have to lean a little forward to be able to see out the window, but it is certainly not missing a window. 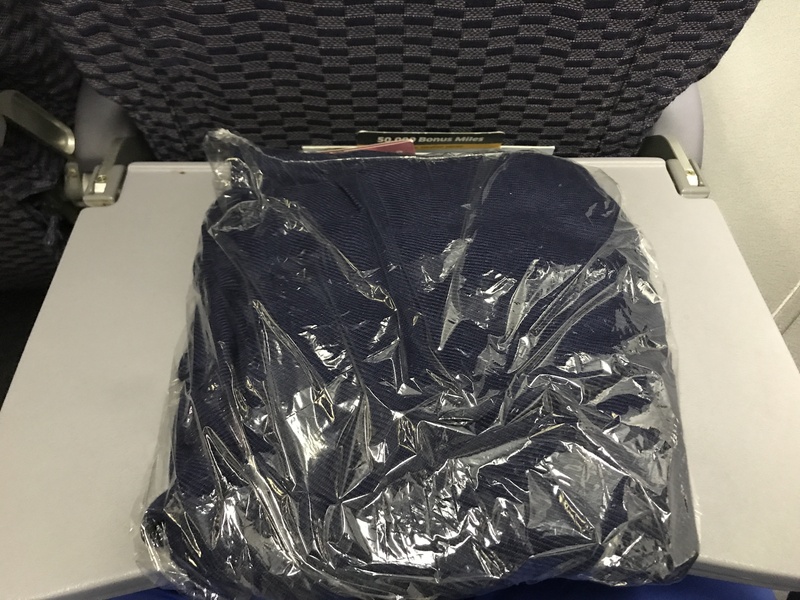 United provided a blanket to each passenger even in economy which I thought was a nice touch. The blanket was thin, and most thin blankets also turn out to be scratchy in my experience. Not this time! This blanket was thin but it was also pretty soft. I’ll talk more about this in a minute along with the “suspicions” I mentioned earlier. 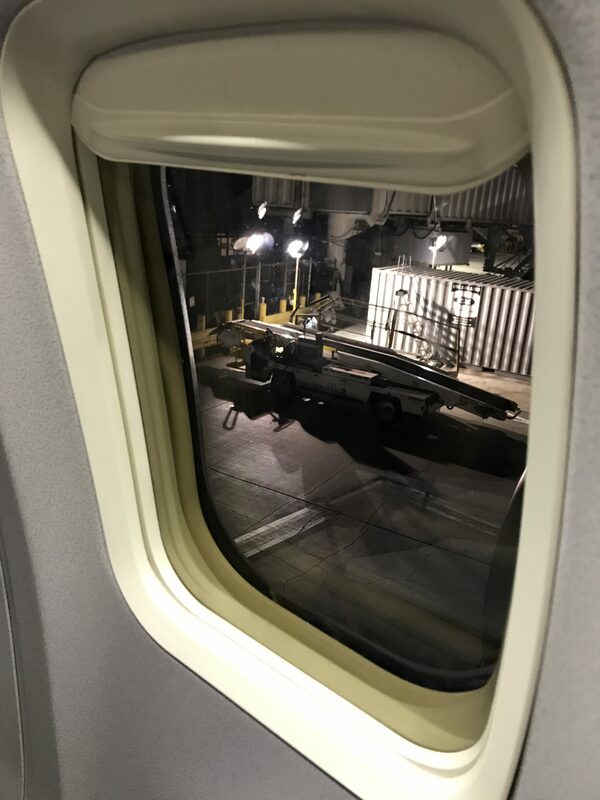 That’s a window style you will only find on old Boeing planes. There was access to many DirecTV channels but I had no intentions to use the TV for that. Below is a picture of the ancient seat controls. 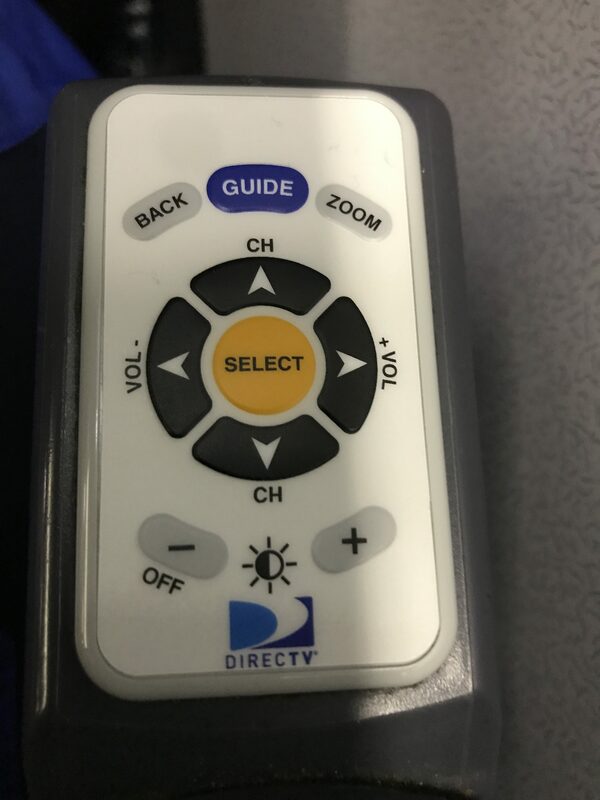 Many people would want to turn the TV off since this is was a red eye flight, but there is no “off” button. Simply keep pushing the lower brightness button one push at a time and once you reach the lowest level of brightness, the TV shuts itself off. The rest of the seat controls are fairly intuitive. Ok so now this was on the back of my tray table, which leads me to propose an interesting point. 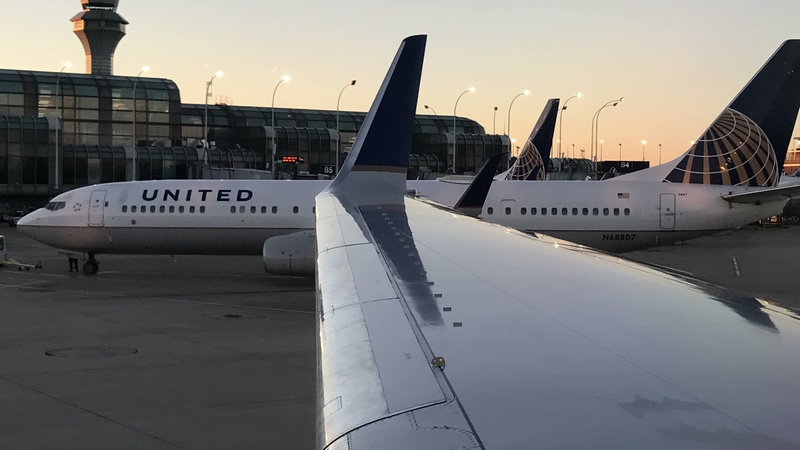 Below is a quick cross-section of United’s economy plus section along with the few rows behind it. If you notice, the non-economy plus rows have power ports, like my seat and I chose that seat for that reason. 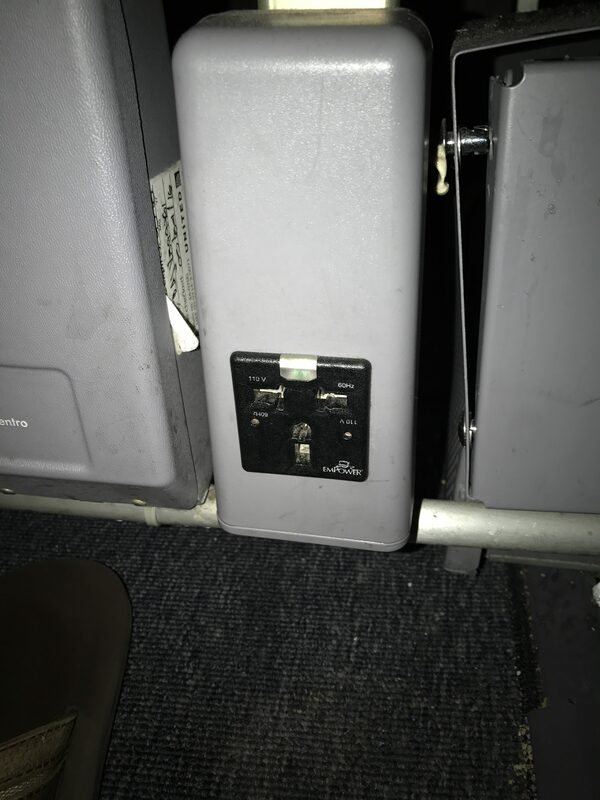 Behind row 21, none of the other seats have power ports. Also, I felt as if I had very generous legroom. 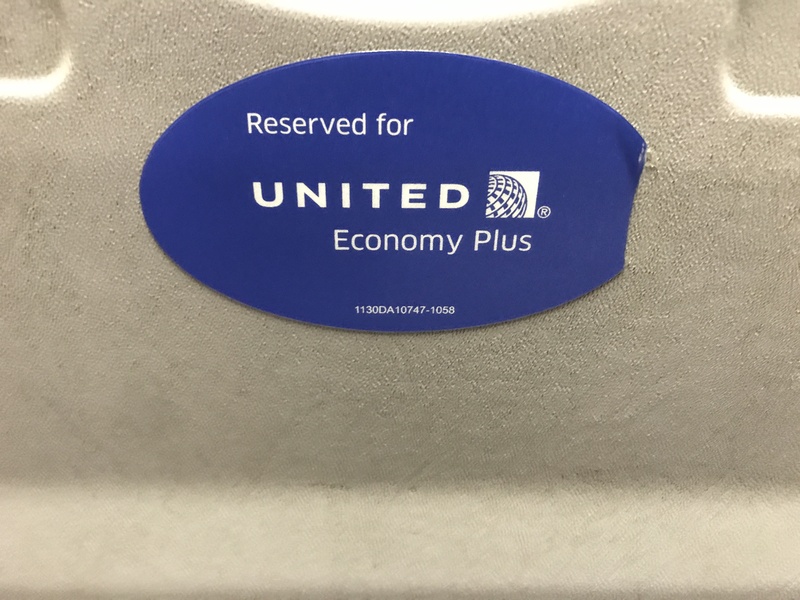 So from the label on the tray table to the power port access that not all other economy seats in the back had to the generous legroom, I believe my seat and the other “economy” seats in rows 16-19 were economy plus seats. 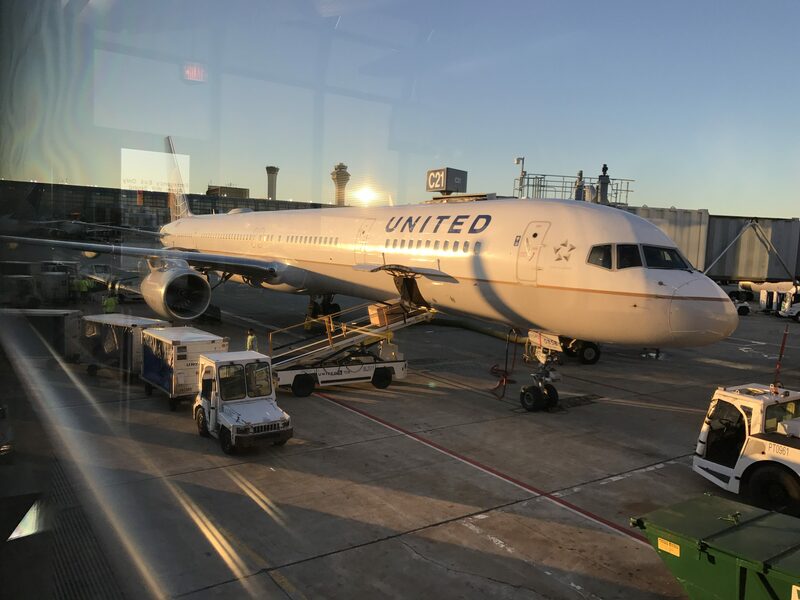 So if you are flying on this aircraft, I would highly suggest choosing a seat on that aircraft as they truly are the best non-premium costing seats on the whole aircraft. 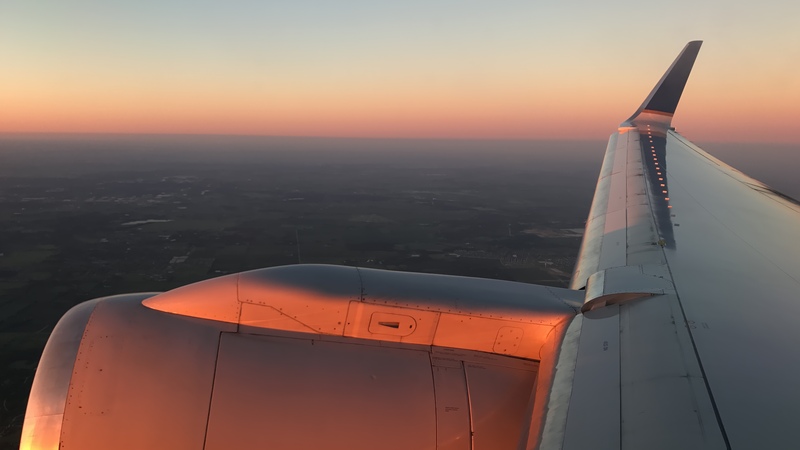 Anyways, I hope I’ve given you all a good rundown of the seats, their quality, the features, and the best seats in the cabin, but now let’s talk about the flight. 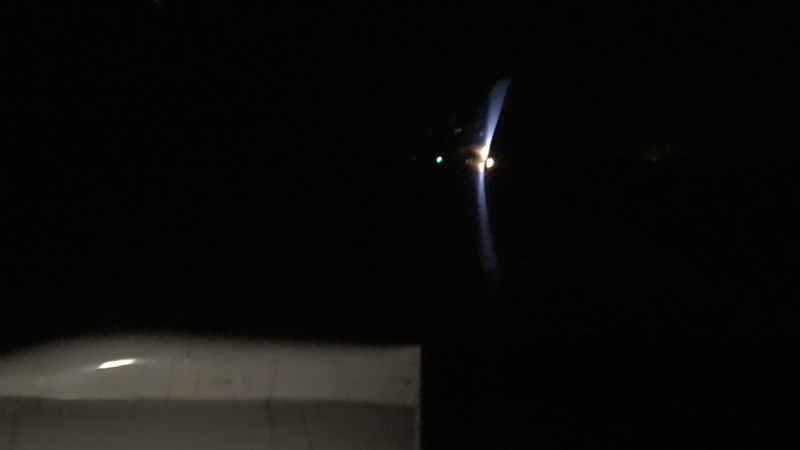 We pushed back about 8 minutes ahead of schedule and quickly started up our engines. 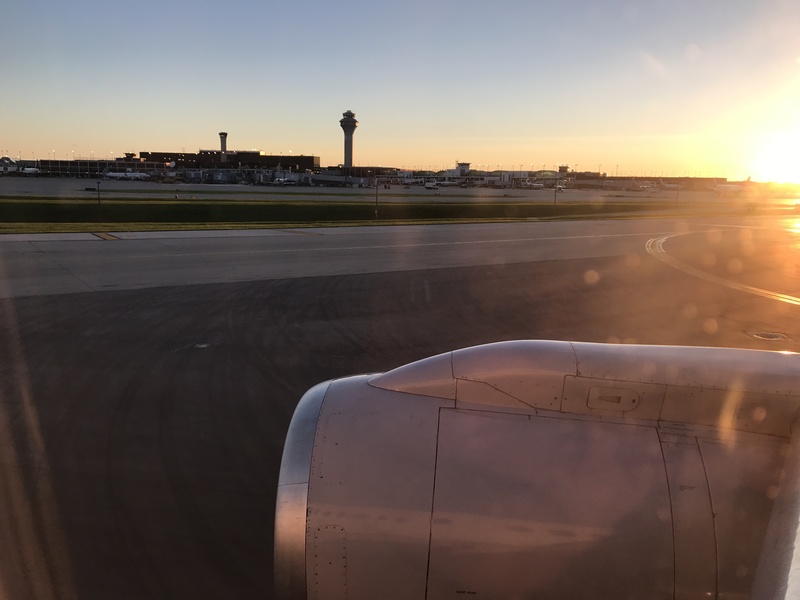 Eventually, we were cleared for takeoff and started rolling down runway 25R. 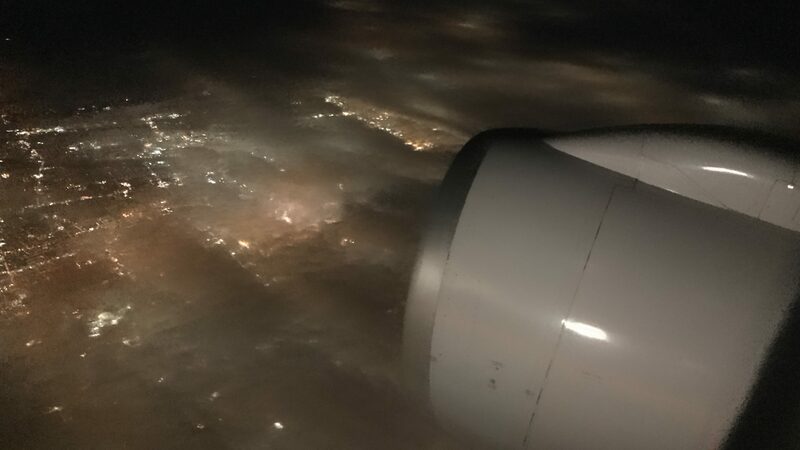 We climbed through the typical LA low altitude marine layer and it was all clear for the rest of the flight once we passed that. 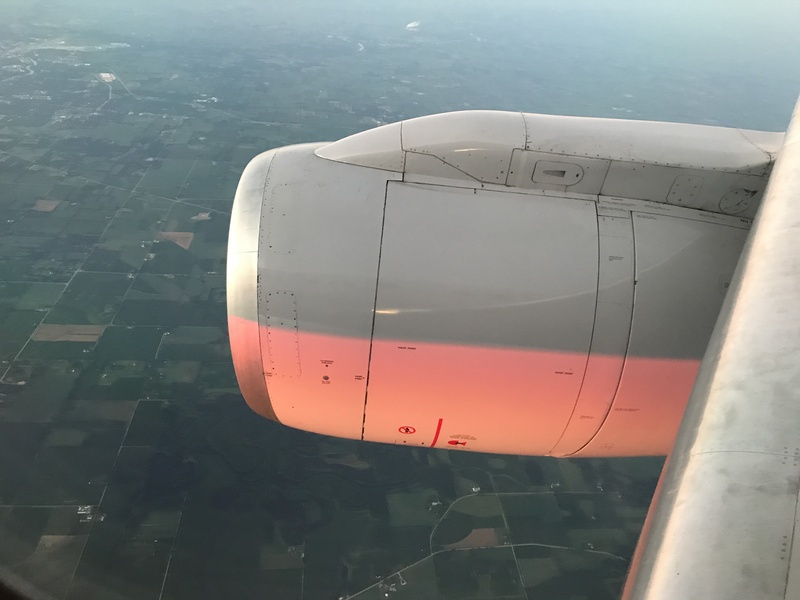 The seat belt sign was switched off after about 15 minutes after takeoff. 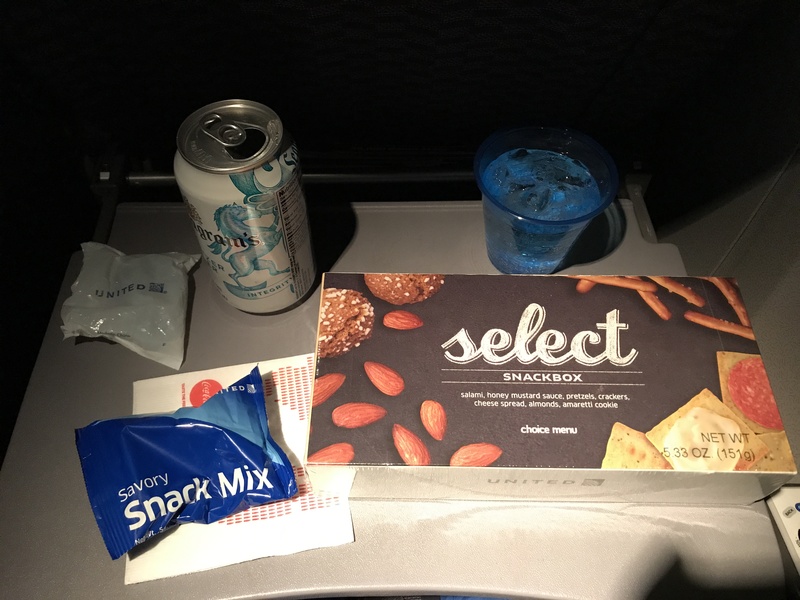 There was a snack service right after takeoff which included the usual United choice of non-alcoholic drink and bag of peanuts. Of course, I went with sparkling water, but when getting my snack, something extraordinary happened. The passenger seated next to me wanted to buy a snack box but only had cash. 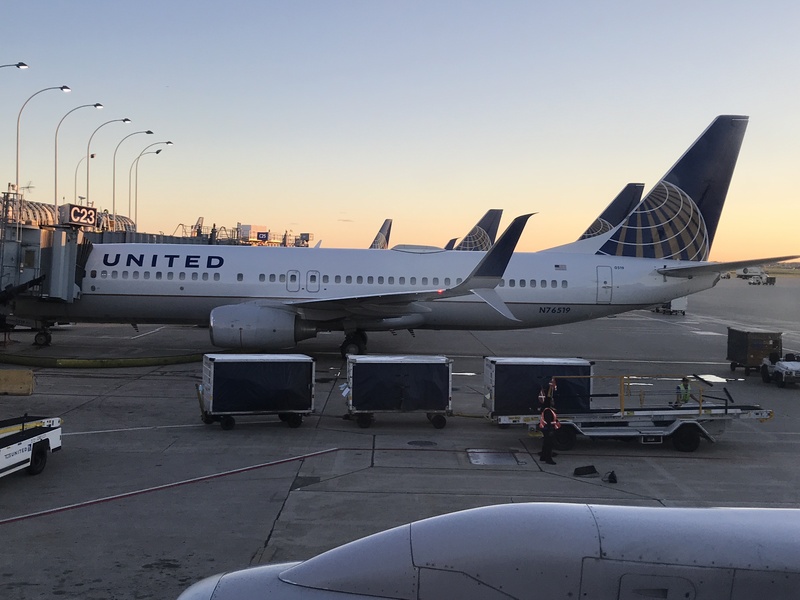 United only accepts credit cards on purchases, so he didn’t have any way of paying for it. The crew member simply gave it to him for free, and she even gave me one for free. So, of course, I thanked her. This was a twist I was not expecting. 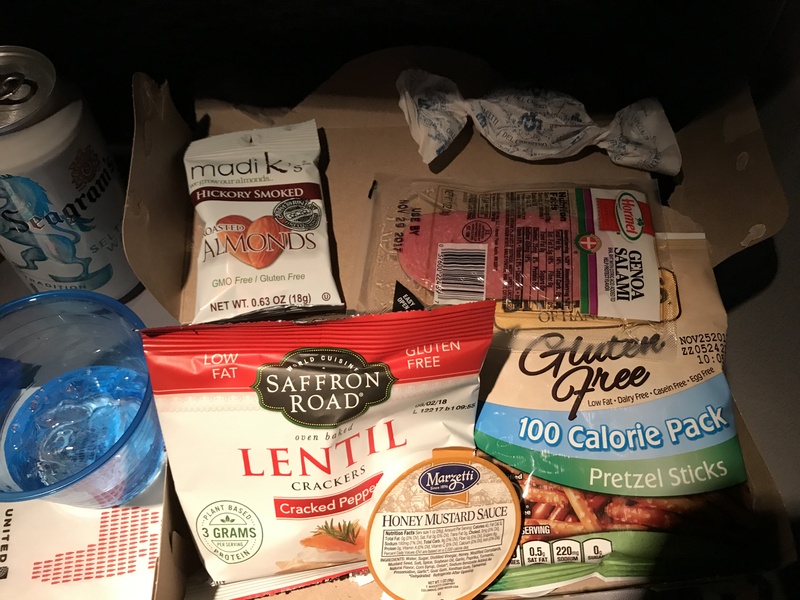 But that same crew member even before the snack box was a very kind individual, so while it surprised me to get a free snack box, it did not surprise me to have come from someone like her. 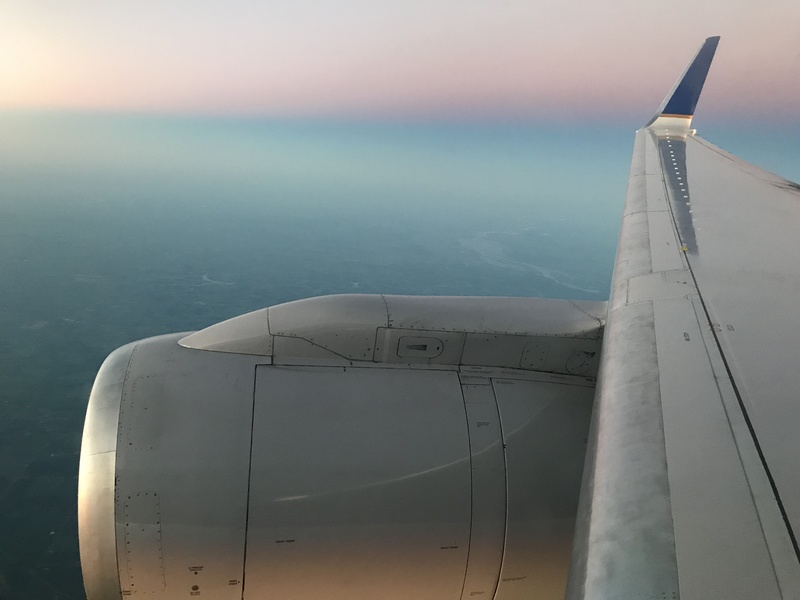 Just a quick note, the little package to the left of the sparkling water can is free ear plugs which United provides complimentary after takeoff. Here is what was inside that snack box. I actually gave the box to my neighbor since I did not want to eat all of that. But after about 15 minutes the crew came by to collect our trash. After that, I unwrapped the blanket and fell asleep for a good hour and a half. While that’s really the only sleep I got that night, it was good considering the seat was not that wide and this was only a 3.5-hour flight. But the blanket was pretty decent for an economy class blanket let alone a domestic economy class flight on United (sorry UA, but you’ve seriously under-delivered in the past). Anyways I woke up when the sun was just starting to come up. 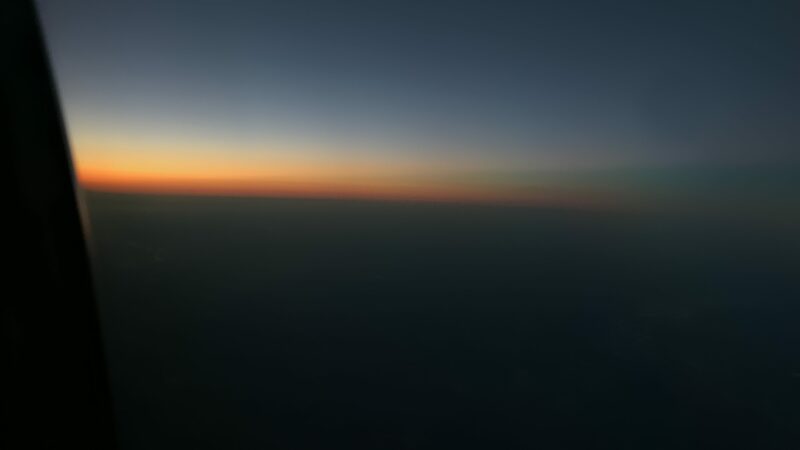 Now the sun rose on the left side so I did not get to see that directly. As I was mentioning earlier, 16A was available but SeatGuru said there was no window. And then I added that there is a window but you have to lean a little forward to see it. I would have gladly taken than to see a gorgeous sunrise. But the skies were still lovely and here are the views from my side, and sorry about the rubbish photo quality, I’m not sure why wordpress suppresses the quality, still trying to find a workaround for that. 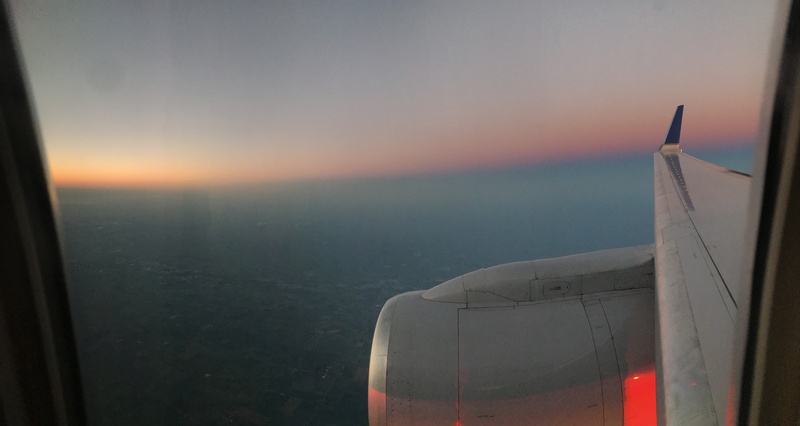 The picture above was quite possibly the best photo of the flight in my opinion. 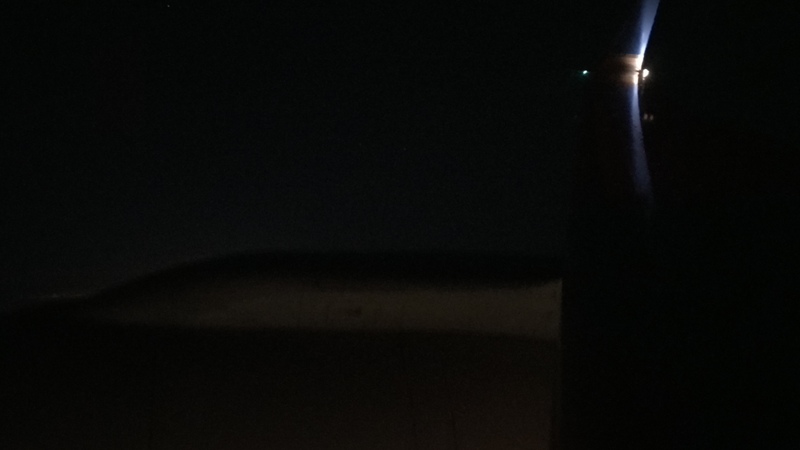 We landed in Chicago on runway 10L I believe at a whopping 32 minutes before scheduled arrival time. 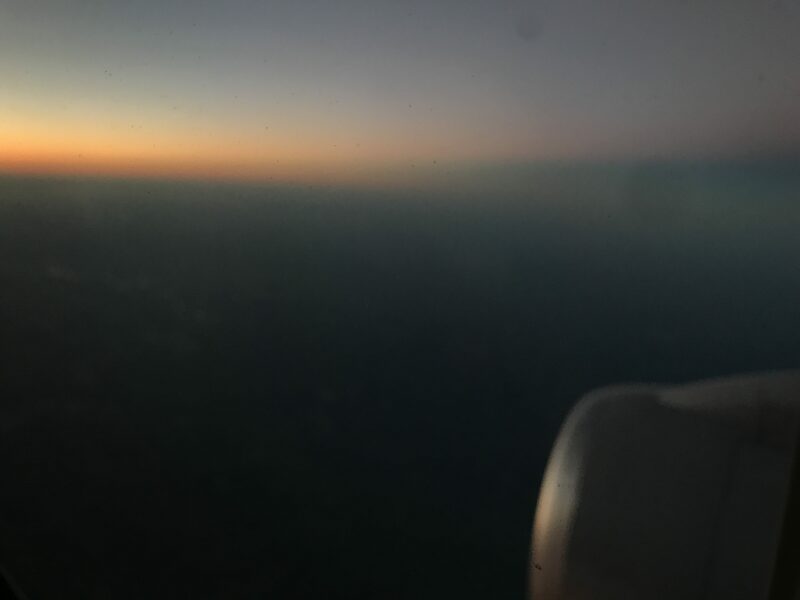 Arrival time was 6:30 AM and our touchdown was at 5:57 AM. 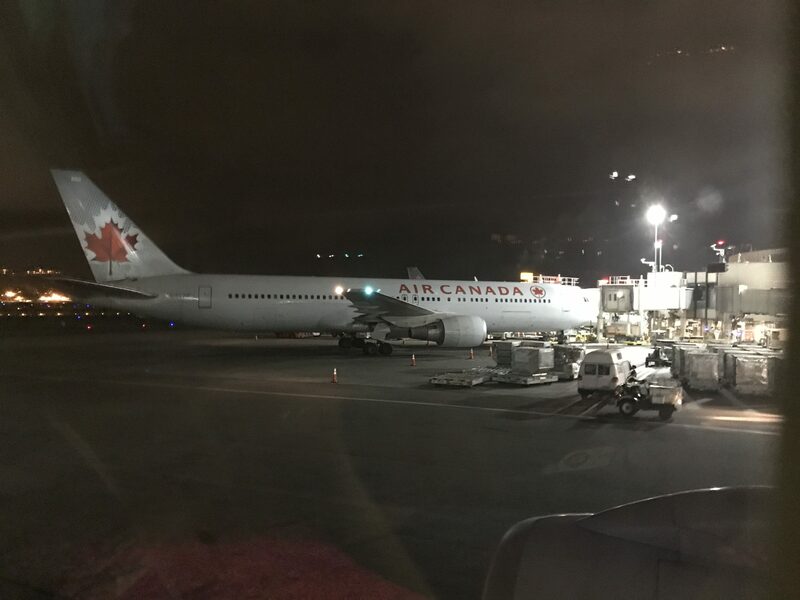 So that was really good for me since I had a long walk to my connecting flight which would be short thanks to this early arrival. The rest of the photos are just taxiing to the gate.